High on a Hill overlooking Brentwood Golf Course sits this beautiful Care-Free Villa. 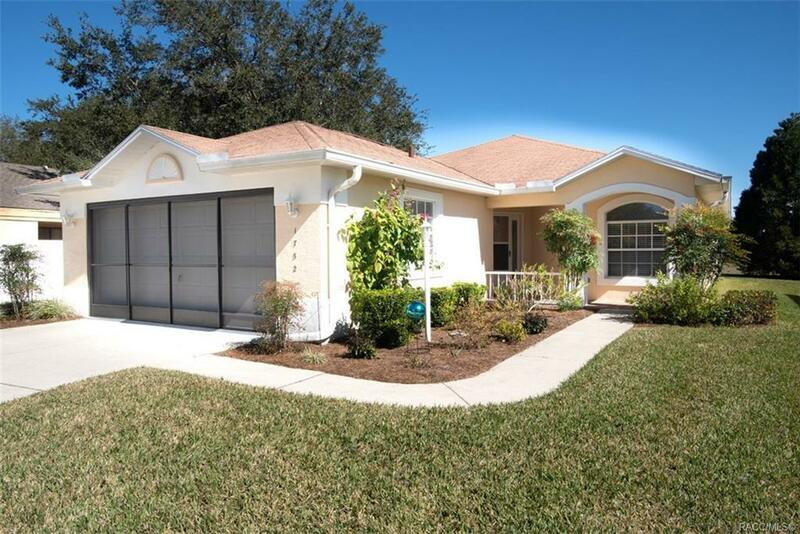 W/3 Bedroom 2 Bath Villa, 2 Car Garage. The third Bedroom is used as an Office. Meticulously maintained, mix of Tile, Carpet & Laminate Flooring, Stainless Steel Appliances, Beautiful Quartz (Cambria) Counters in Kitchen & Dining Built-in. With New Water Heater, New Heat Pump, New Lanai Pavers in 2017. Come, start enjoying your retirement years, pour your favorite drink and enjoy the private view of the Golf Course from your Spacious, Open, expanded Screened Lanai. Great for entertaining or just relaxing. All the Citrus Hills Social amenities are yours to enjoy!